Taken at pick nine in the 2017 NAB AFL Rookie Draft from Footscray, Gowers had previously spent two years on Carlton’s rookie list. 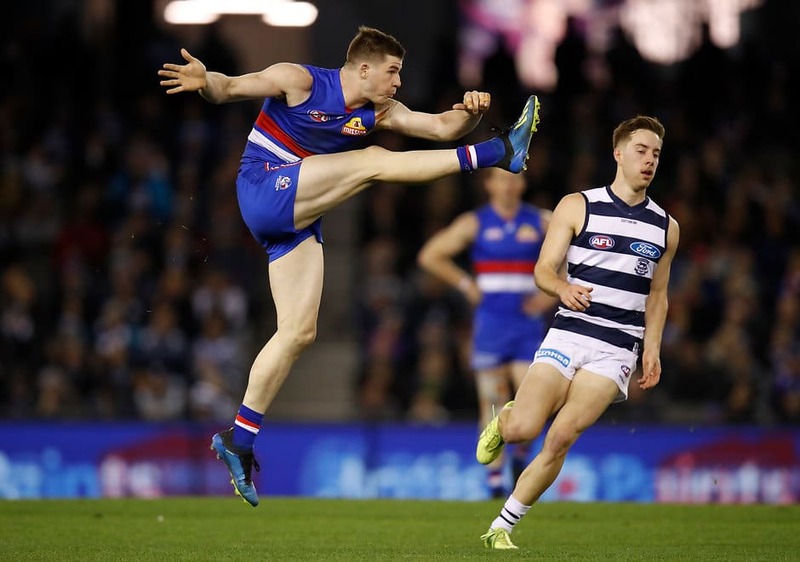 The Western Bulldogs have secured exciting forward Billy Gowers on a new contract which will run until at least the end of the 2020 season. The 22-year-old put pen to paper on a two-year contract extension this week after an outstanding debut season for the Bulldogs. He made his debut in Round 1 against GWS and went on to play 20 games (he missed two matches with ankle soreness), finishing as the Dogs’ leading goalkicker this season with 26 majors. Gowers was also deployed as a midfielder in the second half of the season, where he proved his ability as a multi-dimensional player. “Billy has had a terrific start to his career at the Bulldogs and it’s a testament to his ability, hard work and dedication,” said Bulldogs’ General Manager of List and Recruiting, Sam Power. Gowers has averaged 12.7 disposals and 4.2 marks per game this season. “I love being at the Club, so I was stoked to sign for another two years,” Gowers told westernbulldogs.com.au. “To notch up as many games as I did in my first year at the Bulldogs has been awesome, and everyone at the club has been great to me.